Joseph McTavish, a behemoth of industry, is dying of a protracted illness in a private clinic on the Mexican Riviera. While he tries one last time to write his memoires in an attempt to cast his life accomplishments in a more positive light, his recollections inevitably bring him back to the crushing failure of his last venture. As the head of a telecommunications empire, he presided over the financial demise, as well as the physical collapse, of a project of Babylonian magnitude. But the downfall did not deter Joseph McTavish, and as soon as the dust had settled, he embarked on an even more impressive project. During this last venture he met Patrick Cohen, a rising architectural star who tried to give exceptional shape to McTavish’s grandiose ideas. As the building starts to take shape, Rene, a talented yet unconventional young plumber, crosses their path and begins to find clues that seem to indicate the ground is once more about to give way. 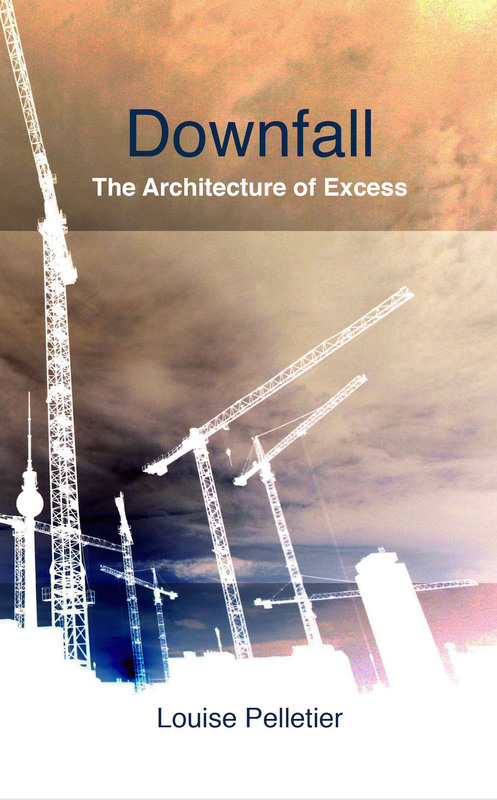 Downfall: The Architecture of Excess is a novel set between Montreal, Venice, London and Mexico in a flux of political and economic intrigue, where architecture becomes one of the primary characters of the unfolding plot. It weaves together the sublime and comical lives of the three protagonists as they collide in one ominous building. In this tale about human ambition, Louise Pelletier, who practiced as an architect for over a decade before devoting herself to teaching, here takes a caustic look at the building industry and the primeval human quest to leave our mark on the world.